Inspired by the upcoming warm days we gathered the top 5 easy hairstyles that you can do in no time, with little effort. Going to the hairdressers can be quite expensive, if you want to save some money and improve your hairdressing skills then scroll down for a few ideas. The wedding hairstyles are mostly loosen, wavy and easy to put back in place if something happens while the wedding. The wavy texture gives a romantic note to the bride’s look, if you opt for a more tight look then you might want to go to a specialist a.k.a hairdresser. Sit back and pick a beautiful hairstyle just for you, for your wedding day. 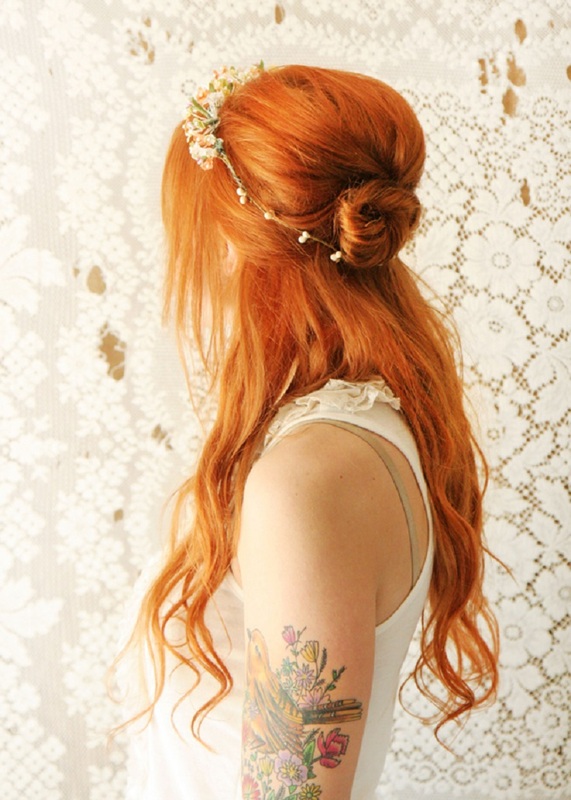 For a bohemian, romantic look make this loose twist in under one minute. Tease on section at the crown, gather the sides and start twisting it in a small bun at the back of your head. Secure bun in place with bobby pins and hairspray. For a more stunning effect, curl the ends of your hair. 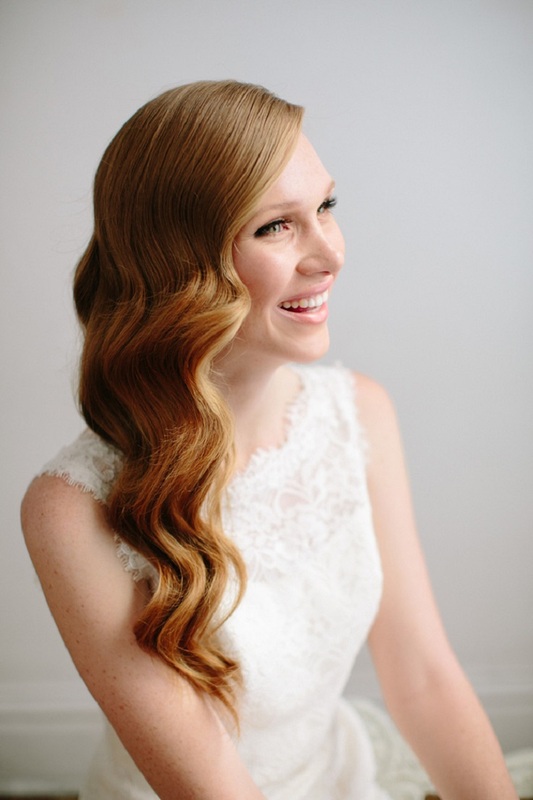 The Hollywood waves hairstyle is not that common among the brides, so why not be unique? Comb your hair and divide it in to two sections. Flip one section on top of the other and secure with clips. Curl your hair with a curling wand. Brush your hair. Find the waves and place clips, to soften the waves. Spray hairspray and remove the clips. The ladies from the “Game Of Thrones” series have the best braids, if you want to copy Khaleesi’s style then follow the instructions. Make small braids at each side of your head. Back comb the back section of the hair, take the braid from each side and tuck it under the back combed section. Secure with bobby pins. A simple twist for a hot summer wedding day is just what you need. Just twist your hair, sideways, constantly adding pieces of hair (just like french braid). Secure it with a hair-tie and loosen the twist by running your hands through the twist. The traditional Dutch braid will give you the perfect romantic look that you are looking for on your big day. Separate a top front section of your hair and braid it towards the opposite side, it should end at the top of the ear. Now, secure it with a few bobby pins and hairspray (optional).